My name is Krishna Sharma as you are knowing it up to now. I am from a small district named “Mathura” which is located at the border or three states i.e. HARIYANA, RAJASTHAN and UP but has the domicile of UP. 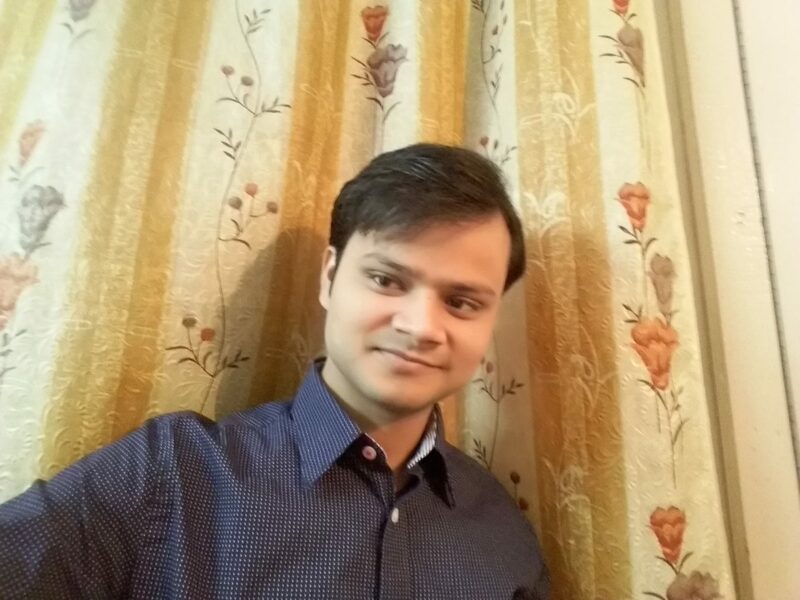 I had my schooling in a town “Kosi Kalan” and the 2011 AIEEE exam brought me at NIT, Patna. Now I am pursuing my B.Tech from Electronics & Communication engineering. I am very much fond of playing table tennis and mostly travelling to a new place and in near future I want to do something for the stray dogs. my aspirations, my way of thinking and my future goals makes me different. I had got an offer of summer internship from Electronics & Radar Development Establishment(LRDE) which is one of the lab of DRDO in Bangalore. It was a non paid internship. During the time of my joining the lab was busy doing some research on IFF (Information Friend Foe) radar. So being a part of the crusade I was given a small part of the work to carry on. Being a part of such an esteemed organization was really the great achievement of my life. I was given a protocol to crack and design and develop an optimal solution for that. As I said earlier non of the two (organization and me) paid each other. So it was an internship with no stipend. The duration of the work was minimum 35 days (excluding Saturdays & Sundays) and since I had my new session of academic beginning soon, I finished it within 7 weeks. Last year I have seen my seniors getting the internship offer from same organization. So I asked them the whole thing about that. Also I have read on Internet that many such organizations have their seats reserved for IIT, NIT students. One of my friend from different college has informed me about some internal works about DRDO as his brother was a scientist there. So without waiting for long I sent training and internship letters signed by our placement officer to many such firms. Within a month I got three responses. one from a DRDO lab in Hydrabad which rejected my form saying we are having a minimum of 9 months training. second and third were from the labs in Delhi and Bangalore. Firstly, since I have never been to south previously and secondly, the work over there was mostly related to my stream in engineering I opted for LRDE, DRDO Bangalore. Not all the labs but some of them provides many internship opportunities for the students from different reputed institutes and I am very much happy that our institute is one of them. There is no such hectic process for applying for this internship. Just type one internship letter on college name to the Director of the lab, get it signed by the placement officer and post it to the postal address along with your updated resume and I am sure to get a response within 1 month. The eligibility is that the student must be good in their academic records without any criminal record filed against them. If the students apply in a group then it will be much better. mostly they are looking for top 8 to 9 students from a particular stream. With paper works, ones qualities do not come forward. the lab where I got the opportunity was looking for the students with good academic profile. I have done a vocational training on VHDL(Very high speed integrated circuits Hardware Description Language) in my second years summer break which is not the part of my academic syllabus and together with that I am also having best grades in my stream subjects. I think these two things i.e. my eagerness of learning and my study background lead to this fruitful result. As I mentioned earlier that it took almost 1 month to get the positive response from the organization and it really cherished me up. Happiness always comes in unexpected time. It was that moment I was very much delighted to plan my travel to south as it was my first trip there. We in a group of 9 were ready for a fun trip. There was not a kind of big preparation required after viewing the result. My mind was set for the big learning adventure. I had just begun the countdown for the day of my departure to Bangalore. The research project which I was given there was to solve a protocol, design and develop it in an optimized way. The name of the protocol is “EnDat 2.2” which is a bidirectional interface for serial data communication between the radar interrogator and the position encoders which are present in radar. Since I am good at VHDL programming so I used this language as my design basis and used Vertex-5 FPGA kit for its development. Yes! it has very good application in future, sighting an example. This improved protocol can be used in the heavy mechanical industries or in paper mills in which there is the use of conveyor belt. The position encoder fitted beneath the belt will provide the various physical factors including position, angle, height, etc of the material present over the belt. Further it can be used where high speed accessing of data is required and where length of wire is a big compromise. I met many scientists and majority of them were from home state also most of them were from different parts of the country. The working environment was not very much friendly as every one out there was busy doing their own work. The guide under whom you work will only give the path, you are the one who has to step forward. Meanwhile if you got struck in a particular problem then nothing other than the library is going to help you. Not even the Google Baba is going to help you as students are not allowed to use Internet facility.The whole campus was covered with dead silence as if I am the only one wandering in the premises. This was all because the word “discipline” meant a lot them and on silence account, since it is not a heavy industry, so from where the sound had come!! Since its an government organization so everything there was confidential. We are not allowed to visit any testing centres. But there were times when the lab workers are asked to present their work in testing centres. So at that time we can go and have a visit to the radar shelters and can see different types of radar made by the organization. First of all I want to thank my guide/mentor Mrs Taniza Roy, a scientist-‘D”. I consider it as privilege to express my gratitude and respect to her who guided and inspired me in the successful completion of the project. There were many ups and downs in the duration, many times I succeeded and many times I failed. It was her who has given me encouragement and shown the right path to work. Without her I will not stand a day in the organization. The best support I got from my institute was its tag which was behind my name. I think without my college support I will not be able to even think about working in such an esteemed organization. Since our destination was around 2200 km away so it was going to be a very tired full journey. The first problem I faced was I was unable to get the ticket for that route. But thank God! I got a special premium train running on that route. Secondly, after reaching an unknown high tech city at night it was very difficult to find any accommodation which suites your pocket. Even a simple room with average facility cost minimum 850/- for a night. If you are from a middle class family and you think to spent a month in Bangalore at minimum cost, then get your pocket tight because it will cost a minimum of 10000/- per month. Thirdly, the major one… it was “food”. if you are from north India then keep your digestive system ready to digest one of the spiciest food in India. Believe me, I had my gastro system damaged for 1 week. It is true that you will get north Indian food there but it will also take some time to adjust. Next, for accommodation it is better to go for PGs with surplus facilities available as DRDO do not provide any guest house facility to the non regular personnels. You can better go to an Internet site www.payingguestinbangalore.com. It will list all the PG list along with address and contact no. On the safety note, yes it is far much better than states like UP and BIHAR. If you are a girl then you are free to take a evening walk at 11 pm. The people of Bangalore are very friendly and helpful and educated. They will never hesitate if you ask them for any help. The most interesting thing that happened there was that I got the chance to spend more time with my college mates and to know the true meaning of friendship. In college we barely talked to each other but in Bangalore we shared our food. Every weekend we had a big trip to different places nearby. 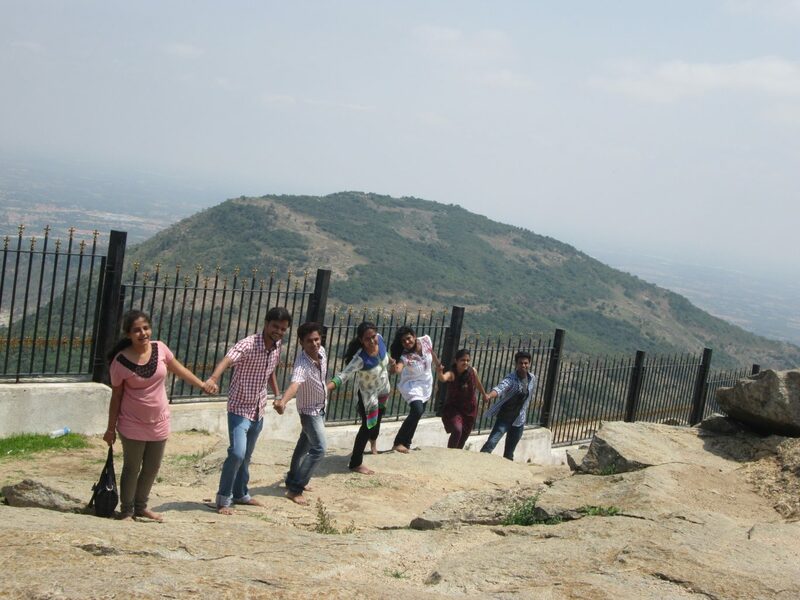 Once we went to “Nandi Hills” and next week to “Mysore”. We enjoyed a lot there. 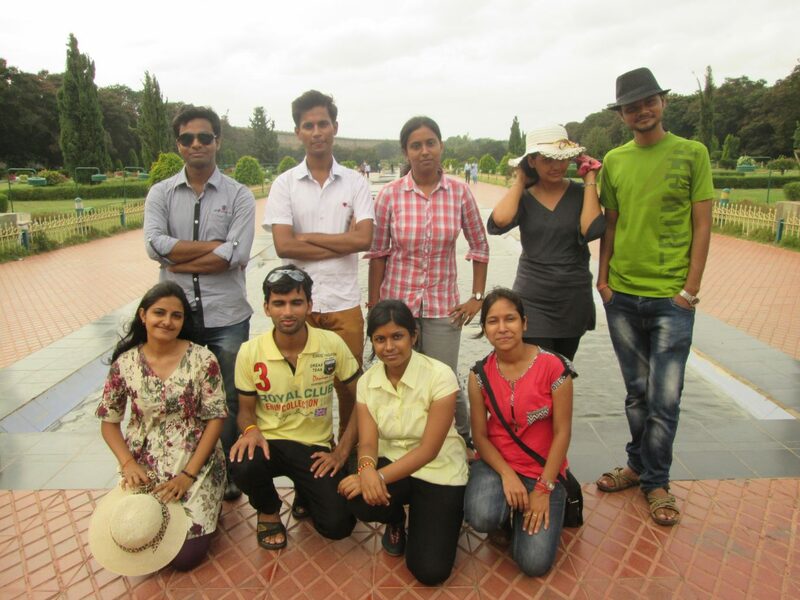 Even now I cherish those moments we had together in Bangalore. I wish those moments would come back again. Previously I had a vocational training on VHDL at CETPA info-tech NOIDA in second year’s summer break. It was for four weeks and I had paid 8000/- for that. But yes, this was my first internship as I dint paid any penny for my work. It this will be in vain without mentioning the name of a lady in the absence of which I have never completed my project. It was my guide “Mrs Taniza Roy”. I am really very thankful to her. Secondly, I would thank my parents who had grown me to be a good person in my life. I also want to thank all the working and non working staffs at DRDO who had helped me in any way. Next I would thank my placement officer who had suffered a lot during this process. I would also thank the police Inspector of the local area to sign me the police clearance certificate which was needed to get the entry in the organization.A special thank to my friend Ankita Singh who has given me updates about the DRDO. I would also thank my seniors who had given me the very first knowledge about the internship. And finally I would thank my college who has given me the platform to reach my goals. This was my first visit to any organization. I really learned a lot from it and one of them was organization behavior. It has expanded my ideas about the my coming career as in near future I am also going to be a part of an organization. I am very much prepared to face such challenges. Frankly speaking, I have learned the full form of the word JOB i.e. “Just Obey the Boss”. I have gained many technical and non technical knowledge. in broad terms I have learned to stand alone in a mammoth crowd. I F: Advice for juniors? Which can help them in getting internships in their future college life and also advice for making the best out of it. The only advice I would like to give my loving juniors to never loose hope. One day it will be your day and I know you will make it count. To get in touch with any type of internship opportunities you should subscribe many such internship websites such as internshala.com, eduinfo.com or you can have your account in Linkedin to directly get in touch with different personnels of the firm. You should be keen to ask your seniors about any such issues. A smart work along with hard work will make the best come out of you. Since I have done my work on VHDL language in both training and internship so in my future I would like to work in circuit based industry where I may feel comfortable to work and have many growth opportunities. “Internship” is a hottest topic but rarely visited by any individual and I think InternFeel has taken a very good initiative to keep this topic on the table. There are many students who are facing such problems of getting a better training/internship opportunities and this will surely lead them to strike bulls eye. I do not know much about your work but yeah you doing a really nice job. It is true that every student will be busy in their academics. But giving time to such work is not a big deal. In fact I would have given my whole day for such a great deed. Thank you for choosing me as interviewee. It was nice talking to you. I really enjoyed the talk.